What Are the Cladosporium Mold Acceptable Levels? How to Remove Cladosporium Mold? Cladosporium mold is a common household mold that may affect your health. 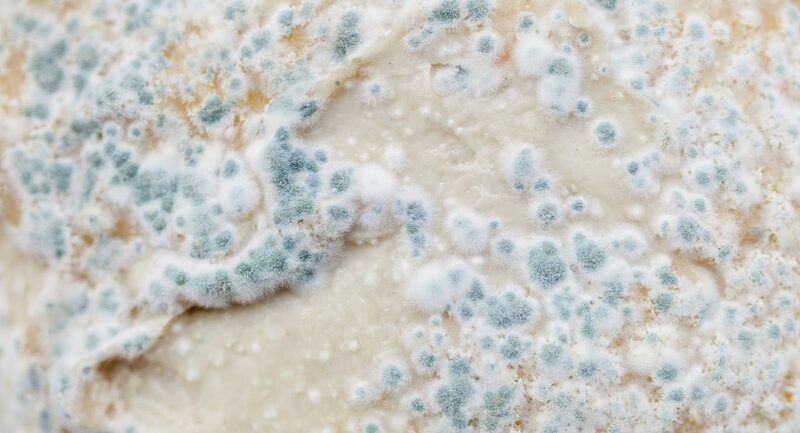 In rare circumstances, this mold has even been known to cause infections. It grows indoors and outdoors. Spores that are released by Cladosporium mold may be airborne if it is present indoors, which helps to spread the mold. It grows most often in areas where there are plentiful sources of moisture and humidity. More than 500 different species of Cladosporium mold have so far been identified. 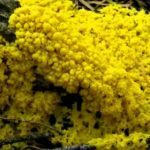 Although Cladosporium mold may cause health issues for some people, it is not considered a dangerous mold to humans. Allergies are the most common health issue associated with exposure to this mold. Symptoms of an allergic reaction may include sneezing, coughing, a stuffy nose, a runny nose, and post-nasal drip. Some people may experience an itchy eyes, nose, or throat with exposure to Cladosporium mold. In some circumstances, the allergic reaction may lead to a serious asthma attack, sinusitis, or a severe allergic reaction which constricts a person’s air pathways. Risk factors for an adverse reaction to Cladosporium mold include a family history of allergy, living in a home with lots of mold, or living in an environment which has consistently high humidity levels. People with chronic respiratory or skin problems are also at a higher risk of experiencing an adverse health issue when exposed to this mold. Most people can treat an allergic reaction or an allergy attack with their regular medications. Severe reactions should always be treated as a medical emergency. Cladosporium is the most common mold species that is found in the home. Under current standards, optimum levels within the home are between 0-50 spores in an air sample report. At this level, it is considered to be a trace exposure. Spore levels of 50 to 200 spores is still considered to be very low with Cladosporium mold and is manageable for most individuals. Only people with severe sensitivities or compromise immune systems will typically struggle with this level of exposure. The maximum acceptable level of Cladosporium mold sports is between 200 to 500 spores on the air sample report. This range is considered normal. In some homes, spore levels of 500 to 1,500 spores may still be fine and not require some form of remediation. At this level, however, there is a greater risk of experiencing adverse physical effects over time. Anything about 1,500 spores may indicate water damage in the home, an issue with a building’s HVAC system, or an air conditioning system that requires service. This mold is not easy to identify in many homes. Cladosporium mold grows with other mold types, appearing in black, green, and brown colors that are similar to other, sometimes more toxic molds. You will find this mold growing on wallpaper, carpets, fabrics, and wood surfaces when there are high moisture levels present in the building. If there is condensation which forms on your windows, there is a good chance you’ll find Cladosporium mold growing in your window sills and tracks. It will also grow in your HVAC vents, air conditioning systems, vent covers, and cabinets. If there is water damage somewhere in the building, there is a good chance this mold will grow. Kitchens, bathrooms, and garages are the most common locations. Attics may see mold growth when moisture moves upward. Most people will not suffer ill health effects from an exposure to Cladosporium mold. 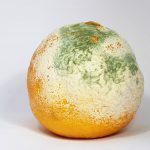 A majority of people who do suffer allergy or asthma-like symptoms when exposed to this mold can treat their symptoms with common over-the-counter medications. Options including decongestants, antihistamines, and nasal corticosteroids. Prescription anti-allergy drugs may be used when reactions are moderate to severe. For individuals who are sensitive to allergy medications, a nasal rinse may provide some symptom relief. For people who suffer from asthma-like symptoms, which includes tightness in the chest, coughing, wheezing, or difficulty breathing, an inhaler or nebulizer will often provide relief. If ongoing symptoms continue or grow in severity, immunotherapy may be recommended in rare instances. 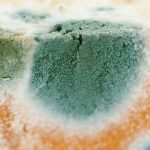 Although health issues with Cladosporium mold are uncommon, its presence indicates the structure of your walls, joists, floor, or other components are compromised. It is essential to remove the mold as soon as possible for best results. For most homes, a professional inspection may be required to identify locations where the mold may be growing. The benefit of having such an inspection is that it can identify hidden areas of water damage where mold may be growing without knowledge. You must identify the source of mold growth during your cleaning effort. If you only clean the moldy areas without addressing the source, then the Cladosporium will return in time. Before cleaning any of the mold, be sure to wear personal protective equipment. That includes shoe covers, gloves, and a respirator. In severe cases, a protective body suit may also be required. Seal off the area with heavy plastic sheets. Use negative air equipment to stop the mold spores from spreading. Then remove any items with mold from the area. Follow this up by treating any moldy areas with a fungicide or bleach product. Then allow the entire area to dry. Depending on your renter’s or homeowner’s insurance policy, some (or all) of these costs may be covered. You will want to speak with your insurance agent to determine what benefits may be available to you. Cladosporium mold growth is evidence that a building’s environment is compromised. It appears most often when there is water damage. There are times, however, when an improperly vented bathroom, kitchen, or spill that is allowed to remain can encourage mold growth over time. 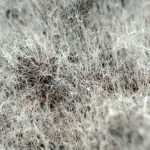 With proactive cleaning efforts and proper appliance methods, it is possible to limit the damage of Cladosporium mold. You can reduce the unwanted health symptoms that may be experienced. Get into the habit of inspecting your home or building at least once per month to ensure that any mold growth is contained. Next PostDoes Lysol Kill Mold?